From Europe to Asia, the dragon has deep mythological roots in many cultures. Usually depicted as a serpent-type animal that’s able to breathe fire, the image was enough to strike fear into the heart of societies for generations. At the New England Aquarium, however, we take a different approach to these mythical creatures! Visit the Australian Temperate Reef exhibit on the second floor and look closely. Do you see them? 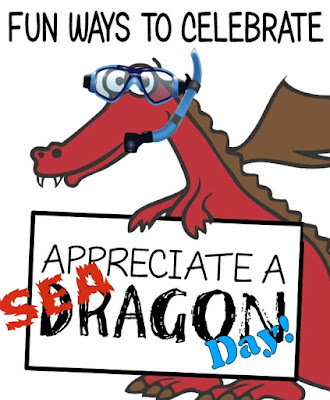 They may not be breathing fire, but the Aquarium’s sea dragons are just as awe-inspiring as their mythical counterparts! With their leafy appendages and slow movements, they completely blend into their environment. And those long snouts are perfect for catching small plankton as it drifts by. 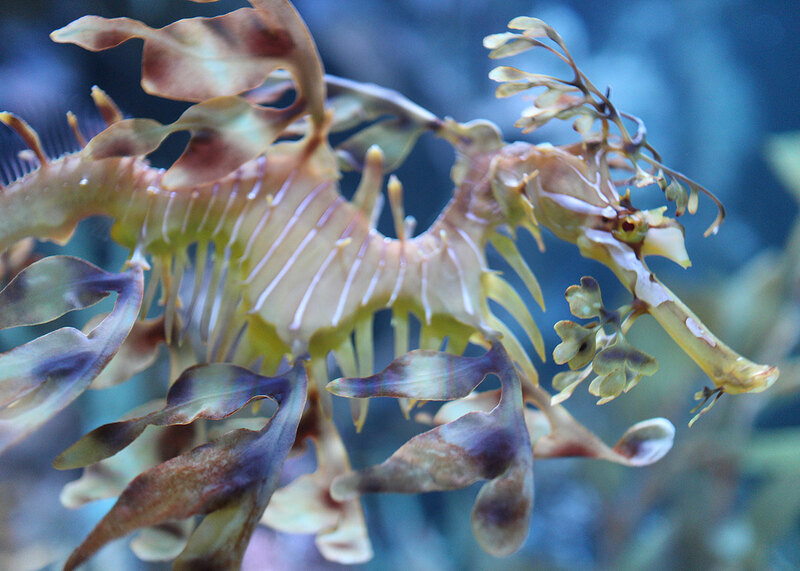 Many visitors comment the sea dragons resemble sea horses…and for good reason. They are close cousins, part of the family of fishes called Syngnathidae. And like their cousins, sea dragon males are responsible for most of the reproductive responsibilities. Male sea dragons will take care of the eggs while they are incubating, just as male sea horses do. 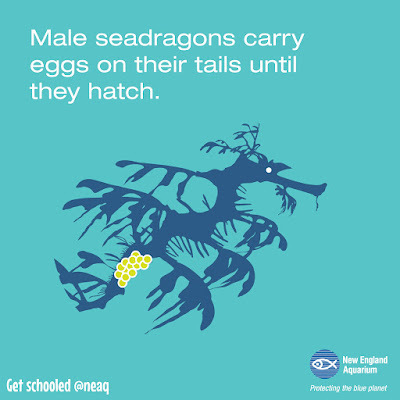 However, instead of holding the eggs in an abdominal pouch, sea dragons collect the eggs and keep them in a spongy brood patch near the base of their tale. And with the female laying 250 to 300 eggs, that’s a lot of little ones to worry about! Once ready to lay her eggs, the female will push the fertilized eggs into the soft skin of the male tail. The skin becomes hardened, forming a cup around each egg that secures it during incubation. After approximately six to eight weeks, the young sea dragons hatch a few at a time and float away to start life on their own! They do grow fast, reaching full size in approximately two years when they could potentially have young of their own. Only a handful of aquaria world-wide have been able to hatch sea dragons successfully, as it is extremely difficult to do. And while we haven’t had any young here yet, we do have great success showcasing our two species of sea dragons and have our fingers crossed that we may have some young in the future. 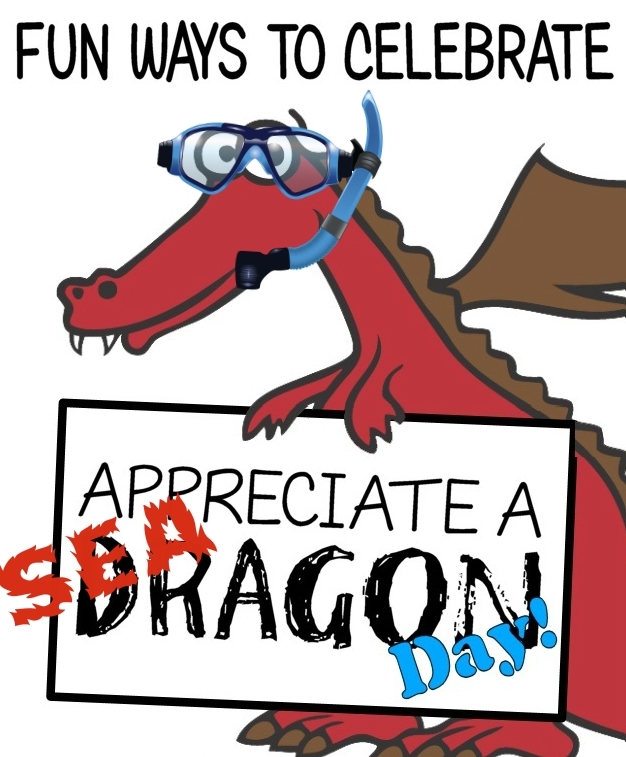 Since today is Appreciate a Dragon Day…what better way to appreciate dragons than to come to the Aquarium and get inspired with these amazing, but not so mythical, creatures! Don't miss seeing these baby fish during school vacation! Buy your tickets online now. They may not be warm and fuzzy, but you'll feel warm and fuzzy after seeing the new babies in the Yawkey Coral Reef Center. And if you haven't been bowled over because of all the cute, these baby boxfishes will endear themselves to you once your hear about their journey. 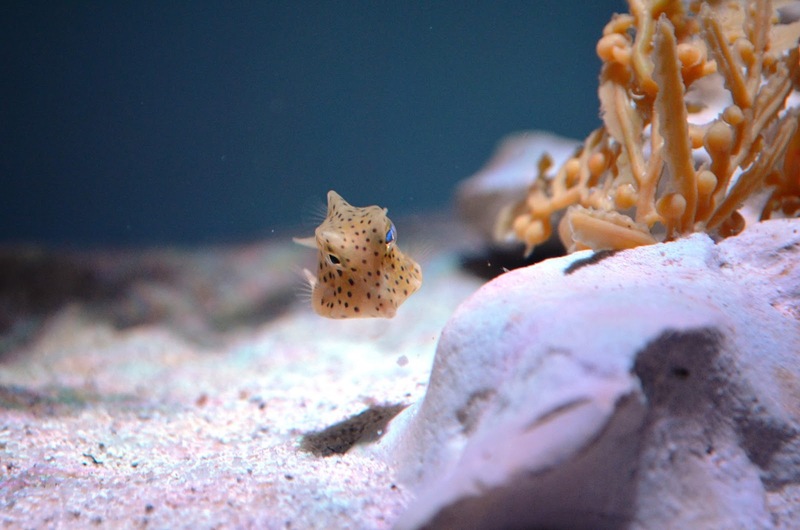 Educator (and frequent blogger) Jo Blasi snapped these pics of the über adorable baby cowfish. So much cute! Boxfishes are common sights on reefs in Florida and the Caribbean, but this particular duo—a trunkfish and a cowfish—was collected this past summer by the Aquarium and Biomes Marine Biology Center staff and volunteers in totally-not-tropical Rhode Island! They are what we refer to lovingly as “Gulf Stream orphans” — a.k.a. tiny reef dwellers that get caught up within the current of the Gulf Stream and cannot escape until they’re swept up north to New England. During the summer and early fall months they can live in the bays and inlets where water temperatures are often in the mid-sixties to low-seventies. 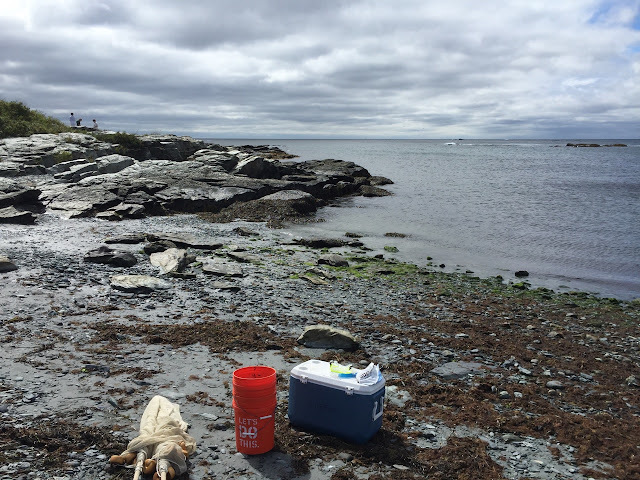 Under collection permits issued by the state, Aquarium staff and volunteers head to Rhode Island every summer and fall to dive and seine for these young tropical fishes. This is a rescue mission of sorts because while these fishes can survive up north in the warmer months, they certainly would succumb to the colder water temperatures once winter settles in. When we collect on our expeditions in the Bahamas, we make sure to visit a wide range of diving sites in order to minimize our impact on the breeding populations on the reefs. These Gulf Stream orphans would never have been able to travel back down to Florida or the Caribbean, so once they’re swept up here they are completely out of the potential reproductive population for that species. Increasing our efforts the past few years to collect Gulf Stream orphans is just another way the New England Aquarium is working towards even more sustainable animal collection practices. Spot the seining net on the beach with other equipment needed to transport the wayward young'uns. When collecting in Rhode Island the easiest species to spot while diving are the spotfin butterflyfishes. Bright white and yellow, they dart from rock pile to rock pile close to the shore. Catching them is a whole different story. Aquarists work in teams of two or three to surround these tiny fish until they can get close enough to guide them into their collecting nets. Boxfishes are often only found when seining in seagrass beds along the shore. The Gulf Stream orphans are transported back to our offsite facility in Quincy. The fish receive the same attentive care that they do on Central Wharf as they go through routine quarantine treatments and get regular check-ups by our vet staff. And then it's eat, eat, eat until they are large enough to to go onto exhibit. 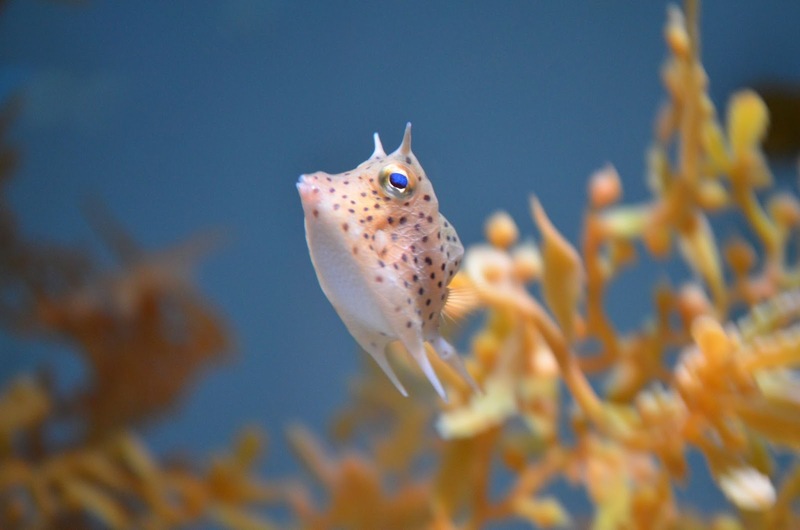 After a quick ride on the Southeast Expressway, fishes like the cowfish and trunkfish can be added to several different exhibits at the Aquarium home. In addition to these boxfishes and butterflyfishes in our Yawkey Gallery, you can find other Gulf Stream orphans all around the Aquarium. 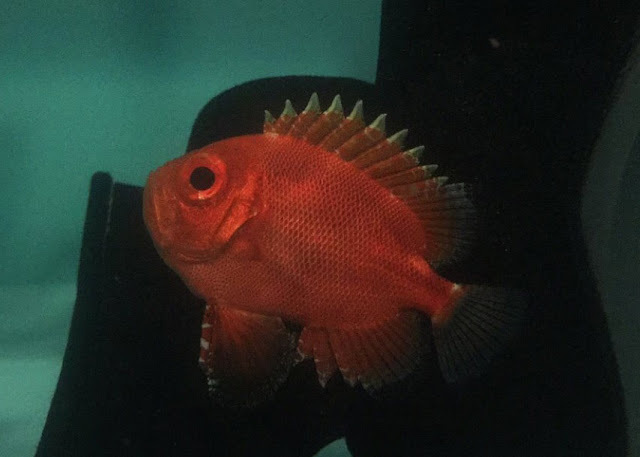 a bright red, stout fish with large round eyes. When they get large enough to fend for themselves, many of these Gulf Stream orphan species, such as snowy groupers, scamps, bandtail puffers and spotfin butterflyfish can, be found in the Giant Ocean Tank. These little fish grow up fast, too! So get yourself to the exhibits at the top of the G.O.T. to see these baby fish before they grow up!